Veteran Gift Mooketsi led the way in scoring 28 points as the Sasol Amawheelaboys national wheelchair basketballers booked their semi-final place with a 65-60 win over Morocco at the International Wheelchair Basketball Federation’s African Qualifiers in Algiers, Algeria on Tuesday. 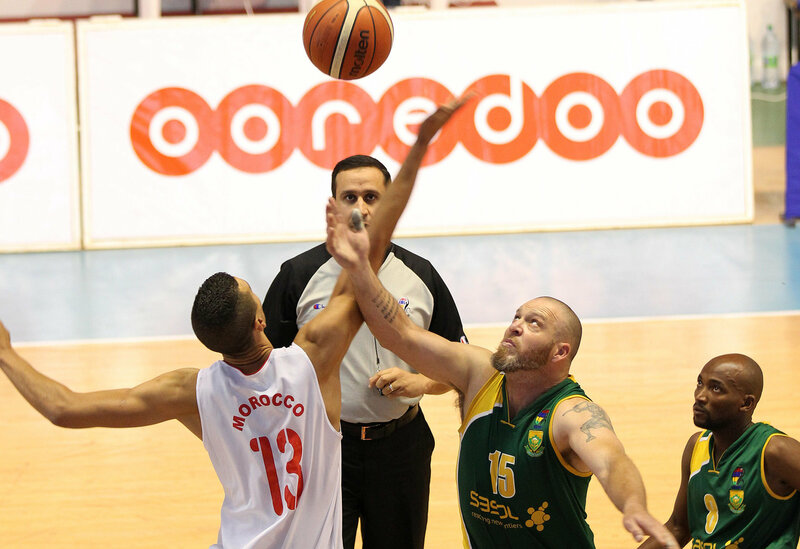 With the Moroccan defence allocating two defenders to mark the Amawheelabouys attacker Richard Nortje, this created space on the court for Mooketsi to both score and create opportunities for his teammates. By halftime, the South Africans had a 47-43 lead, which became a 50-45 advantage at the three-quarter stage. ‘Beating Morocco was important to us as it moves our team to second on the log behind hosts Algeria, and if we can record a win over Nigeria in our final round robin match at the same venue on Wednesday, we should avoid having to play Algeria in the semi-finals,’ said a slightly bruised, but high-spirited Nortje after the match. After the defeat against Algeria on Saturday night, the South Africans have recorded three consecutive wins, over Libya, Egypt and Morocco respectively. Wednesday’s semi-final between the Amawheelaboys and Nigeria will take place at the Nadi Basketball Stadium at 1.15pm (SA time). 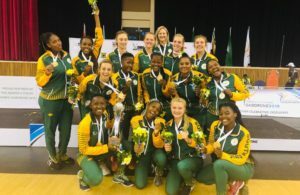 Meanwhile Nonsindiso Zungu’s national women’s side (pictured right) went down 48-29 to hosts Algeria in their International Wheelchair Basketball African Qualifiers debut. The South Africans seemed to suffer from ‘stage-fright early’ on, and found themselves 10-2 down, before a coaching change on the bench at courtside, saw Amawheelaboys head coach Franck Belen take over from regular mentor Willie Mulder. Belen seemed to find the right words to inspire the South African women who looked extremely competitive, as they pulled back points to trail 20-16. 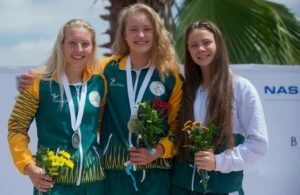 But once Algeria, the pre-tournament favourites in both the men’s and women’s competitions, had found their rhythm, the South Africans struggled to match them for pace and the few scoring opportunities that went the way of the Amawheelagirls, were squandered. ‘Like the Amawheelaboys, who lost their opening game of the tournament against Algeria on Saturday, I’m sure our women’s team will get stronger and play with more confidence as the competition progresses,’ said coach Belen afterwards. Yay! Well done, Gift Mooketsi!